Anyone who has been injured as a direct result of someone else’s negligence has the right to file a claim for compensation. As long as you played no part in causing your injuries and other damages, you can recover compensation by establishing the other party’s liability. Our firm has handled countless personal injury cases. We have the experience to gather evidence and to hold the responsible party accountable for your damages. Personal injury cases can involve financial, physical, emotional, and property damages. Financial damages include medical bills; gas mileage to and from doctors’ appointments; property damage repairs; and more. Physical damages are the injuries that the victim suffers to his or her person. Emotional damages include trauma, pain, and suffering. Property damages can occur to any of the victim’s property that is affected by the accident. In California, the statute of limitations for personal injury and wrongful death is two years. This means that you must file a claim within two years of your accident in order to be eligible for compensation. Failure to file your claim within that time period can result in denial of your claim and an inability to obtain compensation from the liable party, so act as quickly as possible. HOW LONG HAS THE LA INJURY GROUP BEEN IN BUSINESS? The firm was founded in 2005 with the ideal that every person who is injured in an accident deserves quality representation. WHAT AREAS OF PRACTICE TO YOU COVER? 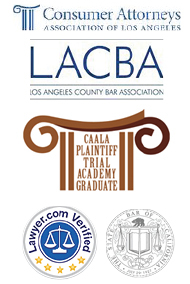 The LA Injury Group’s sole area or practice is personal injury law. While other firms may have attorneys in them that cover many different areas of the legal world, we operate with the ideal that we would rather focus our efforts on one area and do it better than any other firm in the city. Our expertise in the personal injury field will help ensure that you get the best possible care and highest possible settlement. We will help our clients in any way we can with anything pertaining to their case. Many of our attorneys have a background in (or a strong interest in) medicine so we are well-equipped to help make certain that our clients get the best possible medical care for their injuries. We also deal with doctors, insurance companies and any other parties that may be involved in the suit. We will handle any and all legal aspects of the case. From the first appointment with a doctor until the last signature on your case’s settlement, we will be there for you every step of the way. YOUR SITE SAYS IT HAS SUPER LAWYERS IN YOUR FIRM. WHAT ARE THOSE? Super Lawyers is a ratings service that grades attorneys in more than 70 different areas of practice. Using a variety of criteria including peer nominations and evaluations, professional achievements and independent research the service lists those outstanding lawyers that are considered to be among the best working in their area of practice. We are very proud to have been recognized by them. HOW DO I HIRE YOU/HOW DOES THIS ALL WORK? We like to start off with a consultation. We will arrange to meet with you and discuss your case. Once we have a good understand of your needs and desires we will come up with a comprehensive plan that will allow us to best serve you. If you agree with our plan we will go to work representing you. HOW CAN I BE SURE YOU WILL WORK HARD FOR ME? We only handle personal injury cases so you won’t get lost among a stack of cases covering many different areas. To ensure that you get personal care, we limit the number of cases that we take at any given time. This allows us to focus our efforts on each person’s case and provide world class service for our clients. Once we take on your case every person in our firm will be working for you. With us you are a not just another case number, you are our most important client! WHAT ARE THE BUSINESS HOURS FOR LA INJURY GROUP? We are open Monday through Friday 9:00am to 5:00pm pst. WHAT IS THE MAIN CORPORTATE OFFICE ADDRESS FOR LA INJURY GROUP? Our main office address is 144 N. Glendale Ave. Suite 202, Glendale, Ca. 91206 although we have multiple convenient office locations around Southern California. In the last year we had the pleasure to represent a delightful elderly lady who was hit by a car in Studio City, CA. As she was walking home from her part time job as a seamstress, a car speed in to a cross walk, hit the left side of her body, and flung her body onto the pavement. Our client suffered serious right knee injuries that required a total knee replacement surgery. What troubled us the most was that she was never able to work again and by losing her mobility, she lost her freedom. A woman that would freely walk around her community and support herself, her leg pain made her a prisoner in her own apartment. When she came to us for help, we filed a lawsuit against the negligent driver that caused her injuries and, to make a long story very short, we were able to get her enough compensation that she would not have to worry about working for the rest of her life. The short answer is extreme hard work, never giving up on our injured clients, and treating our clients like family. After graduating from UCLA and Pepperdine Law and then getting incredible experience at a powerful plaintiff’s law firm, our founder dreamed of starting his own firm geared only at protecting the interests of people who were personally injured or taken advantage of by large corporations or governmental entities. In 2007, our founder rented an office and hit the ground running. The early years were extremely tough, as Mr. Charchian would work over 14 hours a day, six days a week. So much time, energy, and pride in helping our injured clients was placed into the firm, that today the size of our firm has more than doubled and we have covered over eight figures in verdicts and settlement for our clients. 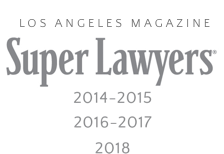 A testament to our success is not only the millions that we have recovered for our clients or our founding attorney’s recent recognition by Los Angeles Magazine as a Super Lawyer Rising Star, but the fact that virtually all of our clients are referred to us by word of mouth. When an injured person, or the family of someone who has been killed as a result of an accident, is looking for a lawyer, we have always said there are three very important things to look for: FIRST, you must hire a lawyer who will file a lawsuit and take your case to court. There are many lawyers in the community who simply negotiate with the insurance company of the negligent party and take any settlement that is offered to them. Only those lawyers with the guts to turn down an unfair settlement offer and file a lawsuit can get you fair compensation for your injuries. Also, what is very important to us, is that by filing a lawsuit against a party who did something really wrong, and thereby holding that party accountable for their wrongdoing, you are shedding light on the wrong and you are preventing that party from harming others and committing the same wrong in the future. SECOND, you should not hire the lawyer who is the “Jack of All Trades.” You should hire the lawyer who is the master of personal injury law and who exclusively represents injured plaintiffs. Unless the firm is quite large, I would be very weary of a lawyer that has several practice areas unrelated to injuries. THIRD, hire a lawyer that will handle your case personally and will not treat you like just a another plank in the saw mill. If you can never reach your lawyer, if your lawyer has an assistant that only works on your case, or if the lawyer does not return your call, you should be careful because your case may not be getting the attention that it deserves. You should always hire a local attorney. The old adage, “a good lawyer knows the law, a great lawyer knows the judge,” has a lot of truth in it. For example, the great lawyer knows how a local judge that will handle your case and, the great lawyer knows the community and knows the type of people that will serve on the jury and whether those jurors will award you the compensation that you deserve. Thus, when we get calls from clients from other states we always try to find them a great lawyer from their own state. A lot can be accomplished during the free telephone consultations that we offer to our personal injury clients. We can usually advise our client whether they have a good case and whether we will be willing to take their case. However, we prefer to have face to face free consultations. Because we go the extra mile for our clients, and treat our clients like family, it is only during face to face consultations that we can really spend the time that is necessary to understand our client’s case, value our client’s case, and plan a strategy of how we will advance the case. We need the basic facts of what happened. Whether it’s a trucking accident or a motorcycle accident, we need the details of what happened. Then we need to know the names of the parties involved. Finally, we need to know the name and policy number of any insurance companies that insure the other drivers. Also, if our client has any photographs, we will usually ask you to email or text us the photographs so we can have a better understanding. There are several things that differentiate us from other lawyers in the greater Los Angeles area: First, we are among those lawyers who only do personal injury and accident cases, we do nothing else. Second, we have a passion for what we do. There is nothing more fulfilling for us than helping our injured clients get back on their feet after a massive injury. Also, we are filled with pride when we hold, for example, a negligent corporation or individual responsible for a harm that they have caused our client. Third, we have an excellent track record and we fight very hard. We never take a settlement offer that we think is unfair, instead, we file lawsuits against the negligent parties and fight hard in court to get our clients the settlements that they deserve. Going to sleep after a long day’s work knowing that it was because of you that the children and spouse of a wrongfully paralyzed father will not be forced into poverty after their sole breadwinner can no longer provide. When your client cooks you a good meal just to show appreciation for a job well done. Receiving enough compensation that saves your client’s home from foreclosure after he is wrongfully injured and forever disabled. I am a huge soccer fan and avid foodie who takes great advantage of all that Los Angeles has to offer (during a consultation just ask me for good restaurants or talk to me about Barcelona). However, I feel very fortunate, because I have a passion for the law, thus, my main interest in life is the law. Our lawyers are very involved in many non-profit organizations and routinely donate and volunteer. Our founder, has served on the board of directors of Athgo International which is a 501c3 non-profit dedicated to educating and helping young entrepreneurs to open business that have a positive social impact instead of solely generating a profit. Our founder has also worked with and donated to Chabad, Cops for Kids, Aids Project Los Angeles, and several others.